With a hybrid design inspired by saber swords and bowie knives, this piece offers a large folded steel blade with intricate layers. 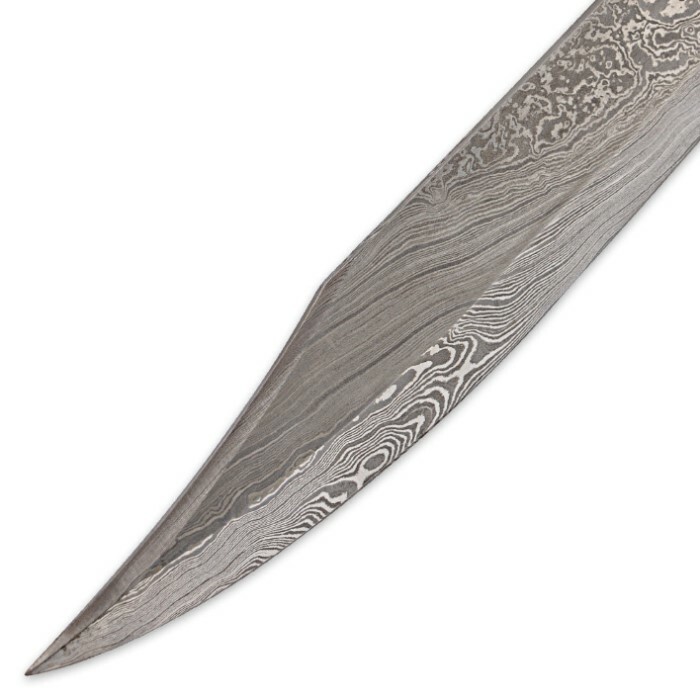 The sweeping Damascus blade has an upswept tip similar to an elongated bowie. A thick steel guard matches the blade's style while keeping your hand safe. Steel pins secure the tang between the genuine hone and buffalo hone handle scales. The handle is polished and distinguished, ensuring that this piece turns heads even while sheathed. Includes black leather sheath with snap closure. Measurements: 24 3/8 in. blade, 30 in. overall. Very well wrapped and protected in the box. 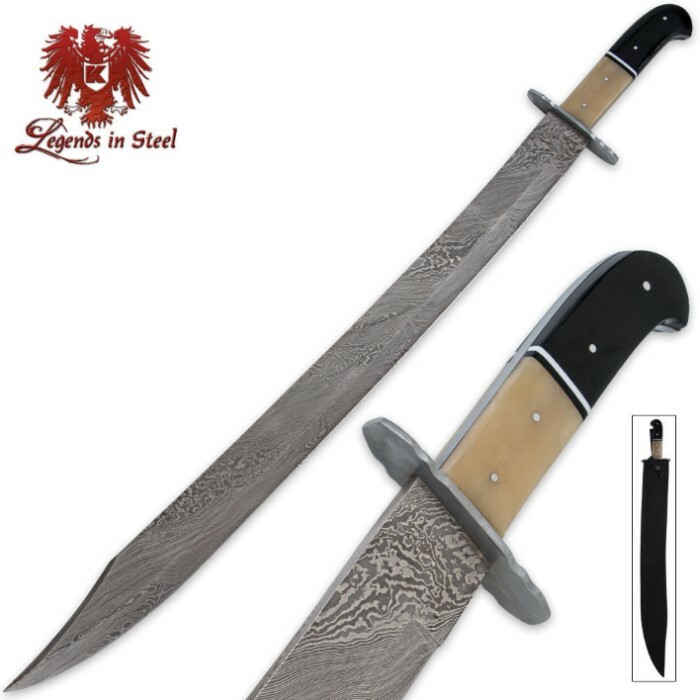 Excellent looking Damascus sword and heavy blade. Came sharp with a couple of very small chips on the sharp edge that I can easily over look. Damascus pattern on the spine and the sharpened edge. Must have done the acid etch after sharpening the blade. Very good sheath.